I know there is a craze out there for electric pressure cookers and I am totally ON BOARD! My pressure cooker has made my life so much easier and I am guessing if you are here….you already know that and have one too! Here are some of my favorite electric pressure cooker recipes. I am constantly working on new recipes too so keep checking back for new ideas! There are lots of different brands of pressure cookers out there. A lot of people have an Instant Pot. I actually have the Power Pressure Cooker XL and love it. I have seen one by Cuisinart that looks nice. Basically the majority of electric pressure cookers should work essentially the same and will be perfect for the recipes below! I would love to hear what brand you have and what you love about it! This soup is at the top of the list for my family. They LOVE it and I love how much healthy broccoli they are getting in each bowl. This soup is creamy, cheesy and amazing. The plus is that it is EASY and quick! I love “Mexican” flavored soups and this does not disappoint. It has great flavor and is really low in calories and fat. Super quick to make and makes a great leftover for lunch the next day. I think this Macaroni and Cheese is out of this world yummy. It is SO cheesy and a really great comfort food. The plus side is that it doesn't require more then one pan….just the pressure cooker. Spaghetti and meatballs is one of my middle daughter's favorite meals. I have never liked the dirty pots and pans that come with making it so I was really excited with how great it turned out in the pressure cooker! It saves me a lot of clean up later. This Spanish Rice with Ham is so easy and delicious it is like being at a Mexican restaurant right at home. I love how the ham makes this a light meal or a filling side dish. Instant Pot Potato and Shrimp Soup is a healthy and filling recipe. This is a great way to get some seafood into your diet! Plus it is really easy to make. Beef stew is one of my favorite meals during the winter months. Making this Instant Pot Beef Stew is just comfort food at its best! Want to change up your chicken? Try this Instant Pot Jerk Chicken Soup for a new, delicious flavor the whole family will love. A healthy meal idea that is easy to make and works perfect for lunch or dinner! 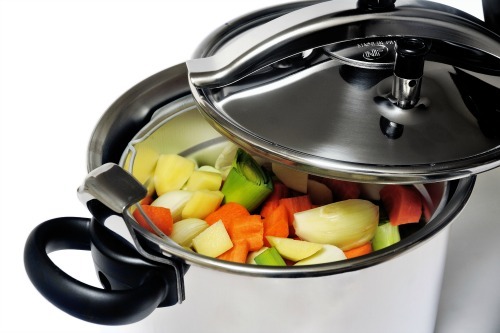 What is Your Favorite Meal in the Electric Pressure Cooker? I love finding new electric pressure cooker recipes. Let me know what you love making in your pressure cooker! Don't forget to check back for new recipes!! You can also get updates right to your inbox by signing up for my newsletters below.